The update provides an overview of the effect that the restrictions are having on the export of recyclables from both the U.S. and Canada. The Solid Waste Association of North America (SWANA) has issued an update for state and provincial environmental agencies on China’s waste import restrictions and their impact on recycling programs in North America. This update, the third in a series to agencies on the issue, provides an overview of the effect that the restrictions are having on the export of recyclables from both the U.S. and Canada, including the increased movement of material to Southeast Asian countries and additional potential restrictions. SWANA has taken numerous steps to respond to the disruption caused by China’s waste import restrictions. These include the establishment of a Recycling Task Force consisting of industry and municipal leaders, advocacy on Capitol Hill for recycling-related funding in the infrastructure bill, consulting with associations and other organizations that support recycling and developing a China Waste Import Restrictions webpage of resources. Robinson and Biderman will continue the discussion on this topic during the June 28 webinar, Beyond China: Building the Future of Recycling. They will be joined by Robert Smouse, assistant director of solid waste for the City of Fort Worth, Texas. 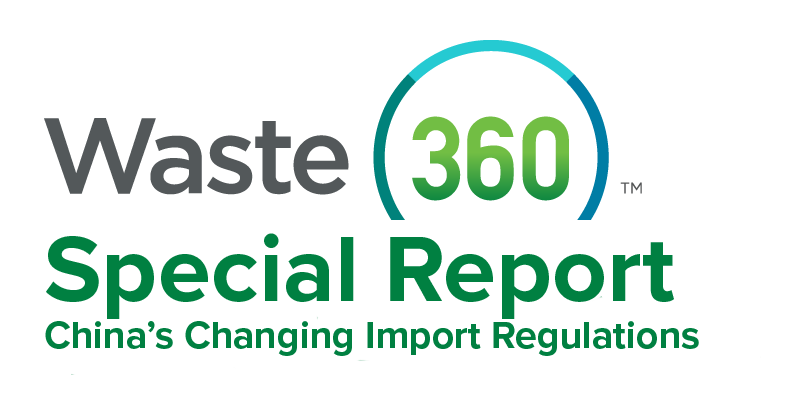 These industry experts will examine the ways in which the recycling landscape in both the United States and Canada has changed dramatically as we approach the one-year mark since China announced its first set of waste restrictions. The focus on education surrounding these policy changes will continue at the 2018 Materials Recovery Facility (MRF) Summit, to be held at SWANA’s WASTECON conference August 20 to 23 in Nashville, a joint effort with the Institute of Scrap Recycling Industries (ISRI). At the MRF Summit, waste industry leaders, state and local government officials, manufacturers and others will discuss best practices, policy alternatives, standardizing recycling metrics and ISRI’s scrap specifications.